Fugitive Tajik general Abduhalim Nazarzoda was killed in a special police operation, according to the local media reports. MOSCOW (Sputnik) — Former Tajik Deputy Defense Minister Abduhalim Nazarzoda, who has been accused of organizing deadly attacks on government buildings in the Tajik capital last week was killed Friday in a special police operation, the Asia Plus news agency reported. "Fugitive general Abduhalim Nazarzoda was killed in Tajikistan's Ramit Gorge two hours ago," Asia Plus said citing a police source. The Tajik authorities have not yet officially confirmed the kill. 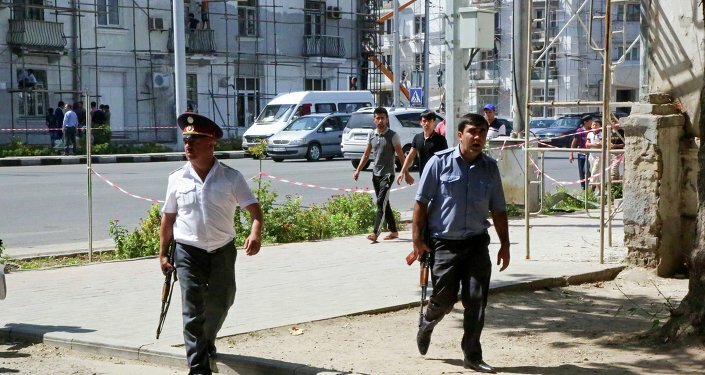 September 4 clashes in Bishkek between Tajik government forces and an armed gang of Nazarzoda supporters, which left over 20 police officers and nine gang members dead, has been described by Tajik authorities as a "destabilization attempt."